Hello gentle readers, and welcome to the SwitchArcade Round-Up for February 22nd, 2019. 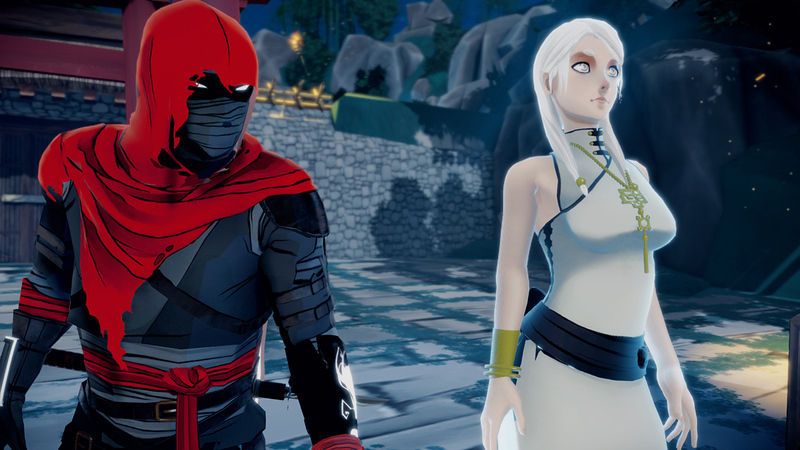 Today we’ve got reviews of Aragami: Shadow Edition and Devil Engine, along with summaries of the latest releases including The King of Fighters 2003, Daggerhood, and more. In news, we’re saying farewell to a key player at Nintendo, and saying hello to a great-looking upcoming game. All that, and sales too! Holy smokes, we’ve got a lot to deal with today. Let’s get down to business! It may surprise some people, but being a good public speaker isn’t really a major part of a company president’s job. Nintendo of America lucked out 15 years ago when they hired Reggie Fils-Aime, at that time best known for his tenure at Pizza Hut, where he oversaw the release of the Bigfoot Pizza and the Big New Yorker. That he was a savvy businessperson was never in doubt, but a more welcome surprise was in how well he connected with Nintendo’s community. Sure, he may not have always come off as the coolest guy around, but his passion and sincerity always came through. He saw Nintendo through some of its biggest ups and downs, and has now decided to leave on a high note. He’ll be retiring in April to spend more time with his family. Taking over his role is, I kid you not, Doug Bowser. The jokes set themselves up, but Bowser has been at Nintendo of America for quite some time and is certainly up to the job. I literally can’t type anything more here without making a bad joke, so let’s move on. The Gunman Clive games are stylish homages to the classic Mega Man games that any fan of side-scrolling action games should own. Gunman Clive just gets what those games were all about without shamelessly aping them. Well, the creator of Gunman Clive, Bertil Horberg, has finally lifted the veil on his next game, and it’s looking like it’s going to do for Contra what Clive did for Capcom’s Blue Bomber. Best of all, it’s not far off at all. The game is due for release on the Switch sometime this spring. There are a couple of different general approaches out there when it comes to stealth games. The most popular ones encourage stealth and often strongly incentivize it, but in most cases will allow players to make many mistakes or even brute force their way through if they are spotted. Then there are stealth games that take a stricter approach to things. If you get seen, you’re probably dead. Games like these tend to serve a narrower band of players, as it can be quite stressful to be perfect, especially when dealing with controlling a character in a 3D space. that body you just left behind. Honestly, you’re probably better off just slipping past unnoticed. Ah, but if you do that, you’ll miss out on all kinds of extras. For those who just want to hide and sneak their way to the finish, you can certainly do that. You’ll probably finish the game in six or seven hours and be on to the next thing. But if you want to be the perfect ninja god, you’ve got to figure out how to take out everyone, collect every goodie, and unlock every ability. And you’ve got to do all of that without being seen. It takes a lot of careful planning and even more careful execution, but when it all comes together, it feels incredibly good. This game’s central gimmick is found in its hero’s special shadow powers. Provided you have the energy available, you can zip around to any surface that has a shadow cast over it. This may seem limiting, but you’ll soon earn a new ability that allows you to paint shadows where you need them. It opens up your options to an almost ridiculous degree, and it’s just the start of a steady stream of new powers you’ll obtain during the course of the game. Eventually you’ll be summoning shadow dragons, burning bodies to a crisp, and more. But no matter how powerful you get, it’s always important to avoid being seen. As a shadow spirit, you’re incredibly weak to light, and guess what the enemies seem to have with them at all times? On top of that, your powers are limited by how much energy you have. You can recharge your energy by hunkering down in the shadows, but it will be sapped from you if you step into the light. Use too many beefy powers without an escape route planned and it won’t matter how far you’ve come. In a nice stylish flourish, your current shadow energy is indicated by the markings on your character’s cloak. It’s just one of many cool features of the game’s visual design. 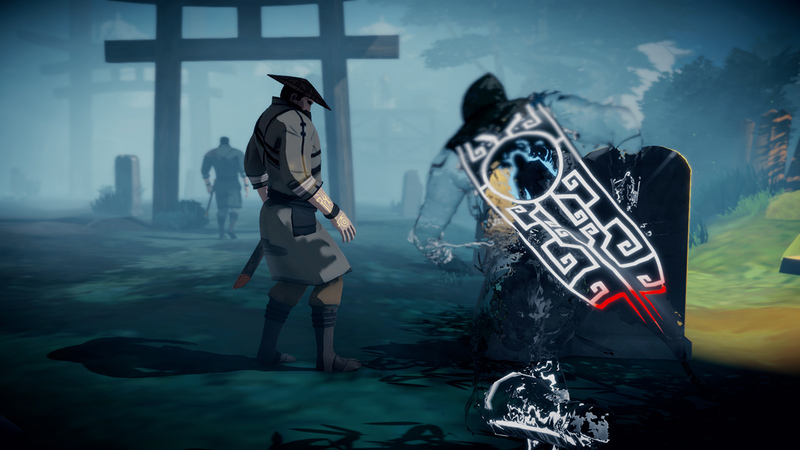 This game looks like a comic book at times, and the design of the Aragami is very striking. The only real letdown in the visuals is in the overall lack of variety of the stages. Well, you spend a lot of time in an old Japanese village, after all, and it’s rather dark most of the time. This version of Aragami includes all of the content that has been added to other versions up until now, including the Nightfall expansion that was sold separately before. That prequel story lets you use two different characters, go through a handful of new story chapters, and even pick up some new techniques. You can even play this game in online co-op multiplayer, which is sometimes as frustrating as it is fun. It’s one thing to work around the game’s rougher edges and baffling AI on your own, but add another chaotic human to the mix and things can get unbearable. Still, it’s a nice extra. 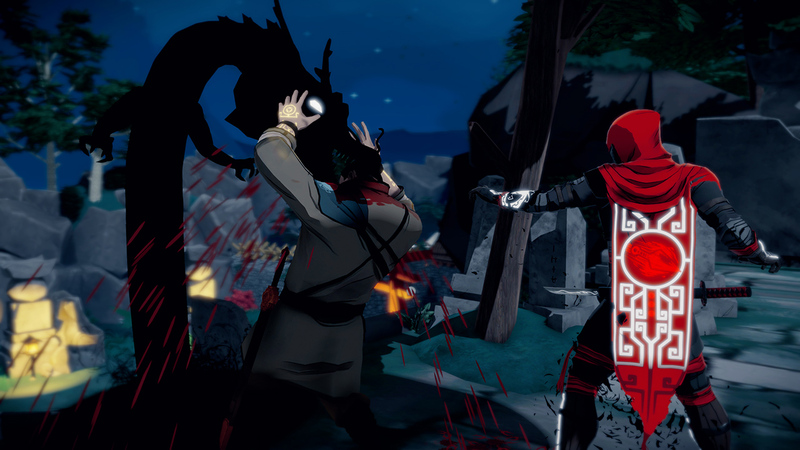 Aragami has some issues with difficulty spikes and enemy AI, and while it generally feels bigger and more polished than it has any right to, it does occasionally remind you that it is, in fact, an indie game. Nevertheless, it’s a great game for anyone who misses the Tenchu series or just wants to play as a cool super-powered ninja. It also runs quite well on the Switch, and is a nice title to curl up with in handheld mode. 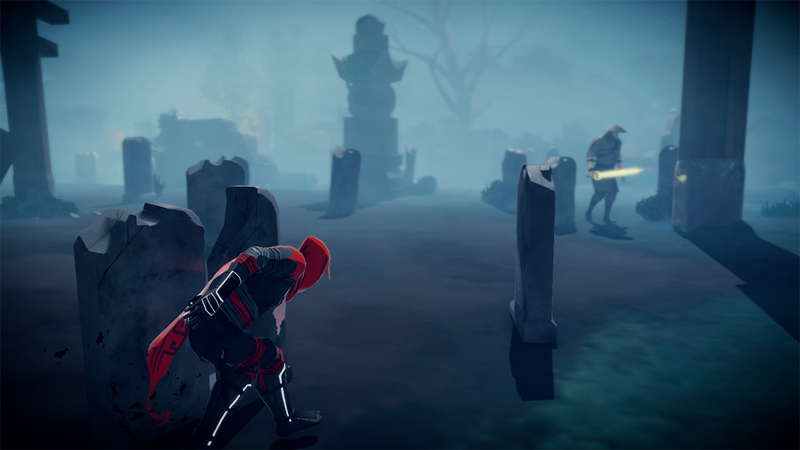 Now, if you’re not into stealth games or aren’t very good at them, you’ll probably want to give Aragami a pass, but otherwise, feel free to step into the shadows. When it comes to classic shoot-em-up franchises, a few big names usually come to mind for most. Gradius. R-Type. Defender. Galaga. And all of them have gotten more than their fair share of indie homages. But the shoot-em-up genre runs deep, and there are plenty of great sources of inspiration to be found that are rarely picked up on. Tecnosoft’s Thunder Force has been getting more love in recent years after SEGA acquired the rights to the developer’s catalog, but it feels like it was off the general radar for quite a long time. But what have we here? 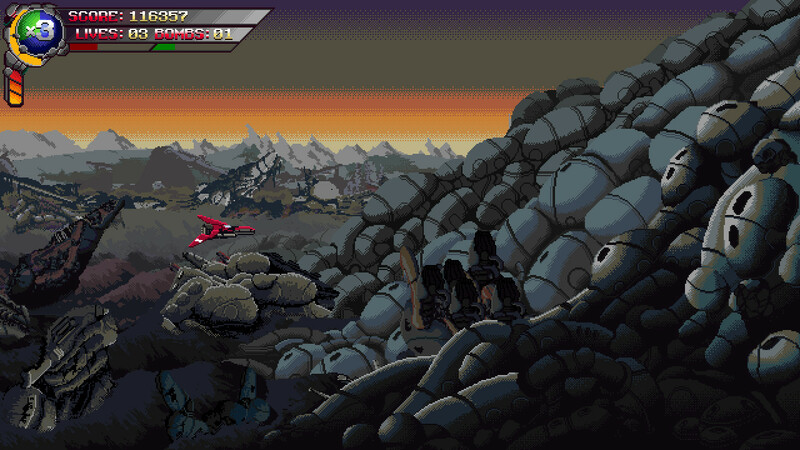 An indie game inspired by Thunder Force? And it’s freaking amazing? Yes. Yes, yes, yes. The name of the game is Devil Engine, and although I’m not overly familiar with its development team Protoculture Games, it’s clear that they’re a lovely bunch of Thunder Force fans. The look, feel, and a few mechanics make this come off like a lost Thunder Force cousin, but there are a couple of twists that make it its own thing, too. 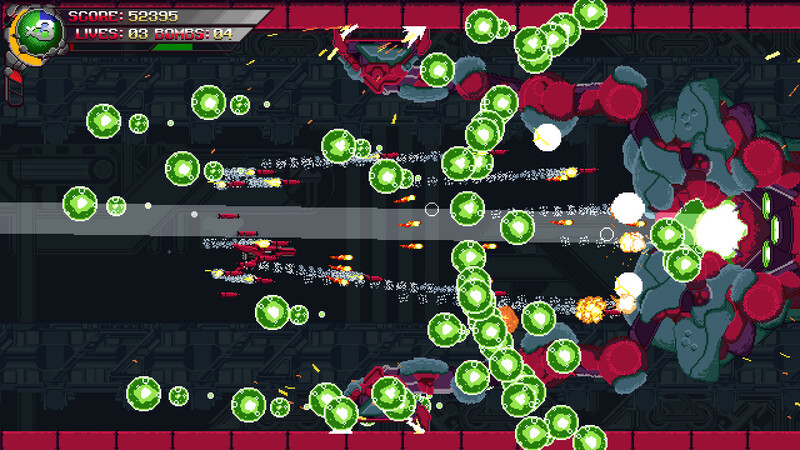 It’s an excellent homage to that classic, but also a very good horizontal shoot-em-up in its own right. A classic vibe runs through it, but it has a lot of modern touches, too. You’ve got six meaty stages to play through, each home to at least a couple of big bosses to battle. The visual variety is excellent, and the art is just plain great. Things hold up on the audio side as well, and the team even got a composer who worked on the Thunder Force series to contribute a couple of tracks. As an overall package, it feels like something from the Saturn era, and that is an aesthetic that is so rarely evoked that I can’t help but love the result here. 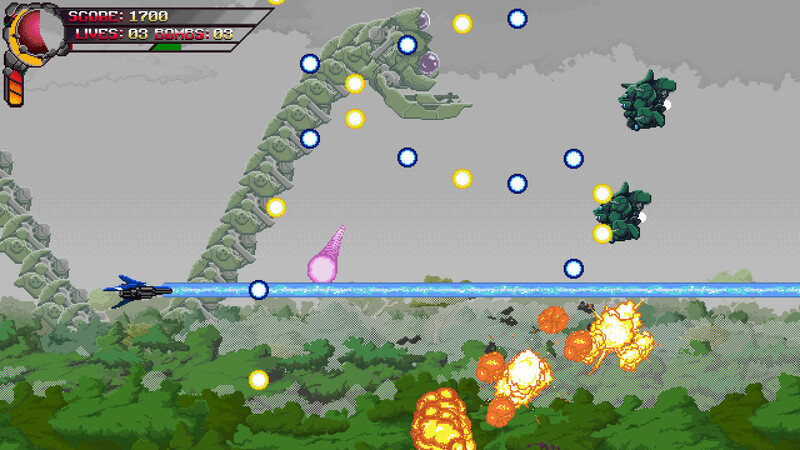 I also love that this isn’t another bullet-hell shooter. Not that I don’t like those sometimes, but goodness, it seemed to be the only kind of shoot-em-up coming from indies for a while there. Okay, so let’s detail the mechanics a bit. Your ship has a basic shot and a bomb attack, and just like in Thunder Force, you can adjust your speed. 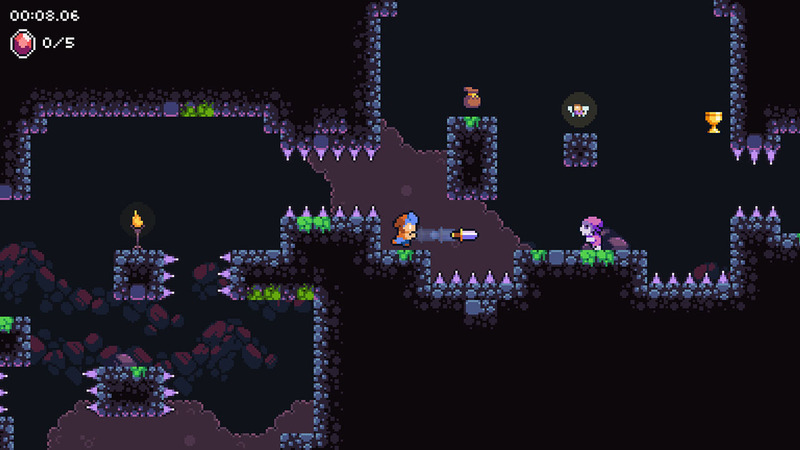 There are three different weapons, each of which has three different levels, and you need to consider which you’ll need for the challenge ahead of you. 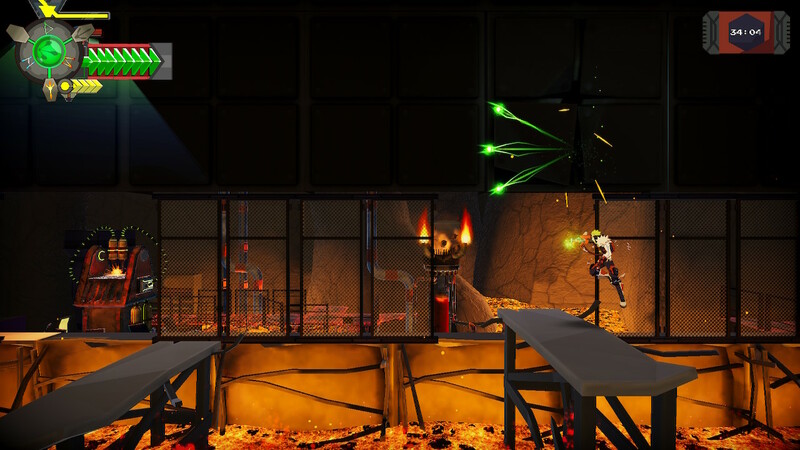 The homing shot is useful when there are lots of weak enemies around or targets on the ceiling and floor. 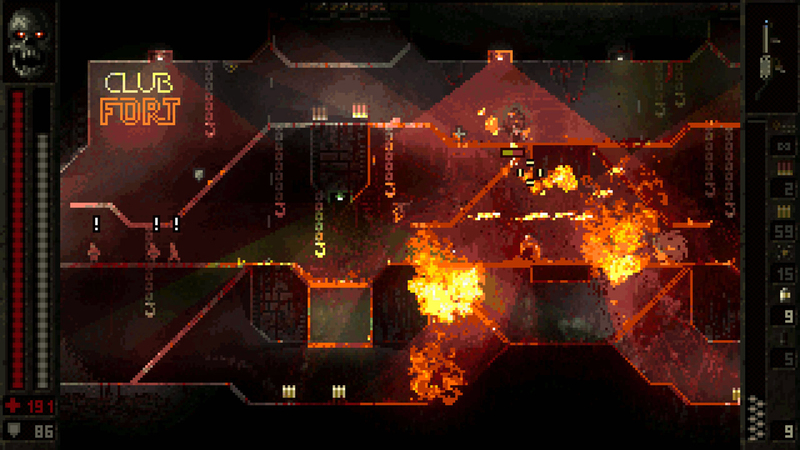 The laser is great for bosses, while the spread shot is a handy all-around weapon. Each weapon’s bomb attack is different as well. You’re also able to absorb shots, and that mechanic is really the key to success. As in many shooters, you’ll want to keep your combo rolling in order to maximize your score. Absorbing a bunch of bullets will keep your combo meter up or even increase it, while absorbing a small number of bullets will turf it. You also can’t spam that shot absorber if you value your combo counter, so you really need to think carefully about when to use it. Racking up a big score is about more than bragging rights, because you’ll earn extra bombs and lives with regularity as you hit certain score thresholds. You might think having all of this at your disposal would make the game too easy, but… ha. Yeah, this game is really tough. The good news is that it can get easier as you play, and not just because you’re getting better. Devil Engine also includes a bevy of unlockables, from things like new visual filters to extra continues to new challenges and so on. You’ll open these things up by accumulating points, and a running total is kept from session to session. So sure, you’ll probably crash and burn early the first time you play, but hey, you just unlocked an extra continue. You get a little farther next time, and what do you know? Now you’ve got a Very Easy mode, which will still likely kill you in a hurry. To be clear, the game in no way needed any kind of meta-progress, but it’s really nice to have it. Even if you are terrible at the game, persistence will get you somewhere. There are a couple of issues at the moment, unfortunately. Something was wrong with the analog stick controls in the version of the game I reviewed, forcing me to use the directional pad instead. Now, I’ve got a JoyCon with a decent pad on it, but if you don’t, you may want to wait for a patch. Similarly, the game had rare crashes that seemed to happen almost at random. The developer seems aware of this particular problem and will likely have it buttoned up before too long. It’s a bit of a damper to be sure, especially if you have a good run going, but it’s worth putting up with the odd mishap to get at the goodness found in this game. 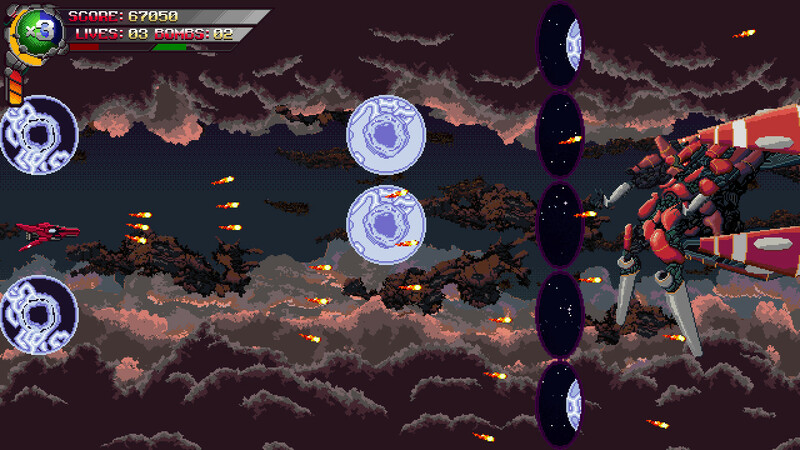 Devil Engine is an outstanding shoot-em-up that celebrates a classic franchise while still feeling entirely modern. The competition in this genre is incredible on the Switch, so it takes something really special to stand out these days. Mere homage wouldn’t be enough, but luckily, Devil Engine has far greater aspirations than that. Whether you’re a fan of Thunder Force, a fan of shoot-em-ups, or just like a good action game, you’ll want to get in on this one. Well, we’re just sort of working our way through the series now, aren’t we? This was actually the last installment of the series to grace the NEOGEO, and it’s also the last of the series in Hamster’s line-up as well. This game introduced Multi-Shift, which allows you to swap characters in the middle of battle. It also brings in new character Ash Crimson, setting off the next arc of the story. 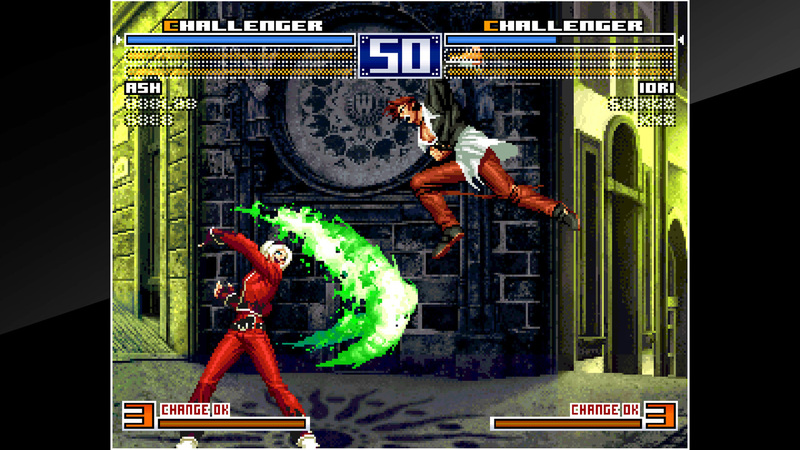 Behind the scenes, this game is where SNK resumed internal development of the series after its successor company Playmore got the rights to everything back from pachinko company Aruze. It’s a pretty good fighting game, even if it’s not my favorite of this series. Here’s the latest in Hamster’s line of Nintendo arcade releases. 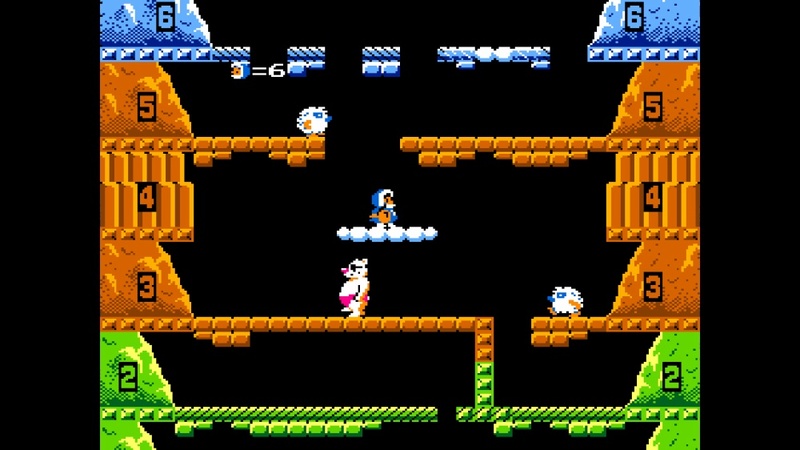 While it might look the same as the NES version, this is actually Vs. Ice Climber, which adds a bunch of things to the game like a level select between rounds, 16 new mountains, some extra enemies and effects, and new bonus items. I’m not a huge fan of Ice Climber, but I think this arcade version is different enough that it’s worth preserving, so I’m happy to see it. I hope we get Vs. Mach Rider or Vs. Clu Clu Land next. Oh look, an auto-runner. 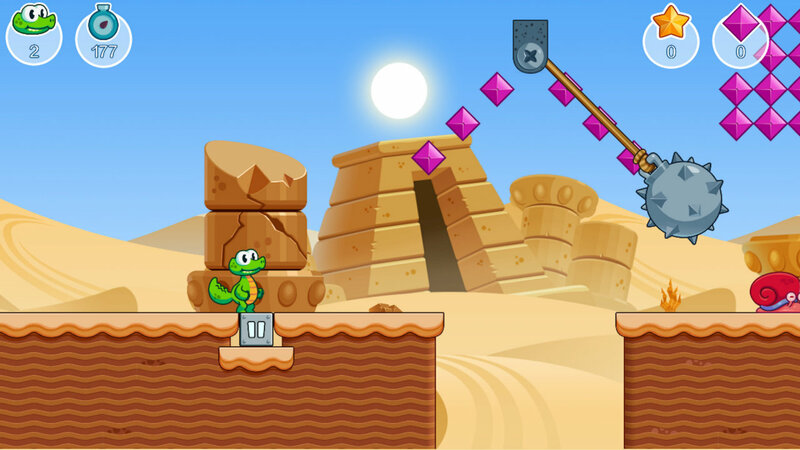 It’s a sequel to Croc’s World, which is a pretty uninspired platformer that must have done well enough because here we are. And yeah, it’s about what you would expect. 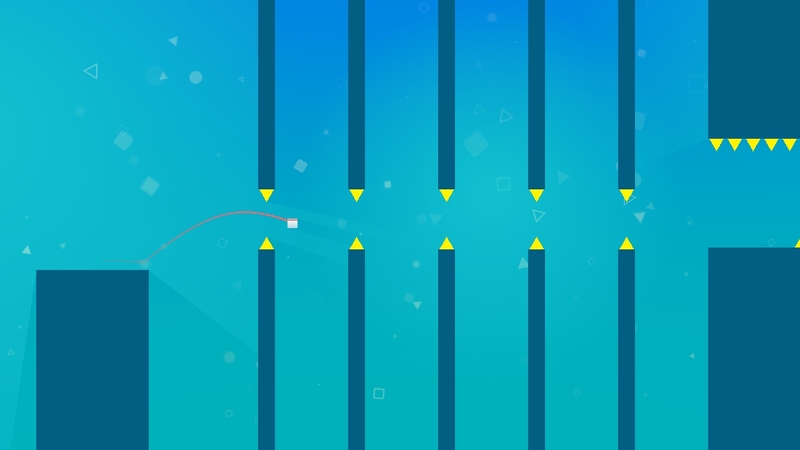 One-button gameplay, 50 levels, a few different worlds to keep your eyes interested, a character that skates around the idea of being infringing, and that’s about it. This has been out for a while on Android phones, where it is of course free with ad support. No ads here, but don’t count on much else being different. Well, this seems like a neat take on the whole Pac-Man idea. 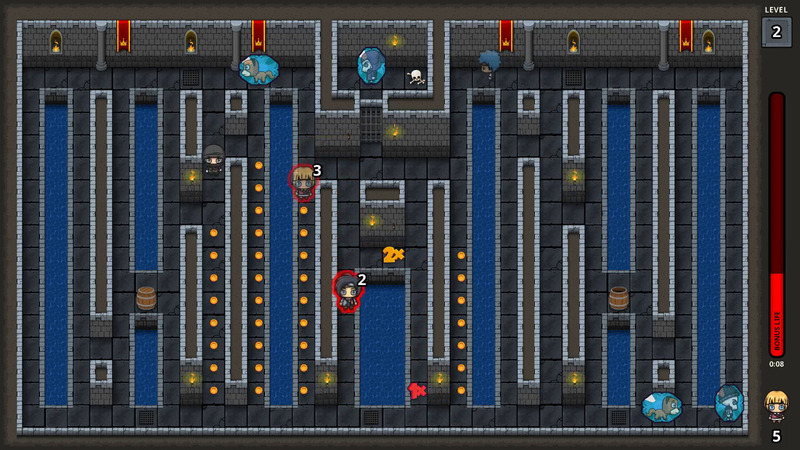 You need to collect gold and avoid baddies as you make your way through 100 levels of a dungeon. A variety of power-ups give you the ability to turn the tables on your opponents, and you can play in co-op with up to four players, which is pretty nice. There’s also a competitive gameplay mode, in case you’d rather work against your friends than with them. It seems like it has a few cool ideas of its own that it brings to formula, so if you dig arcade games of this sort, you may want to hop in and give this one a try. Ah, Woblyware may not do a whole lot on mobile anymore, but I do have some fond memories of its games. League of Evil, Devious Dungeon, and Random Heroes were great games that helped convince me that touch controls really could work. So I’m glad to see the company is still plugging along, even if it’s on other platforms. This game seems to sit more in the League of Evil camp, with challenging gameplay that awards you stars based on how quickly and completely you beat each level. It does suffer somewhat from many of the usual flaws seen in this developer’s work. Still, since the developer has pulled all of their games from the App Store, you might want to go for Daggerhood just for nostalgia’s sake. This is a 2.5D action-platformer in the vein of games like Contra or Mega Man X. There’s a hard time limit, so you basically have to speed your way through every level. This unfortunately serves to highlight one of the game’s bigger problems: the level designs. To get straight to the point, this game loves to run the player into walls. Not literal walls. Well, not literal walls most of the time. But it loves to throw random stuff at you that you couldn’t possibly see coming, forcing you to trip up, make the mistake, and try to memorize it so that you don’t make it again the next time. I’m not a huge fan of this kind of design, so I’m ultimately not all that big on this game in general. As I predicted, we’ve got a healthy amount of new sales going up today. A lot of it is the usual fluff that goes on and off sale with regularity, but there are a few cool games to check out. 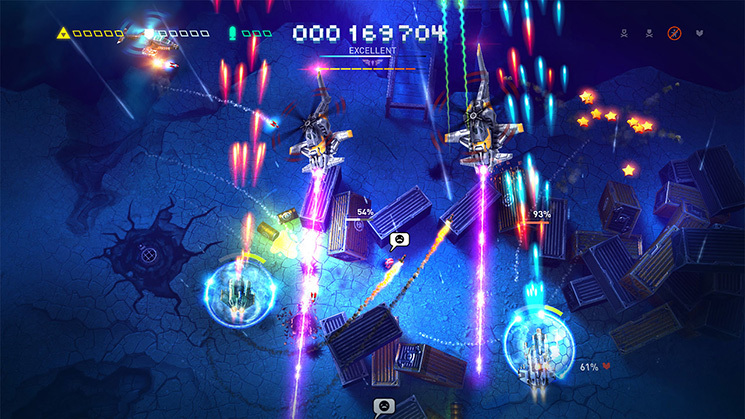 For example, Sky Force Reloaded is on for a sweet price. Immortal Redneck is also rocking quite a good discount. Astebreed and Kero Blaster are both wonderful, as well. Those would be my recommendations, but feel free to buy whatever you want. I am not the police of your wallet. Yet. That’s a wrap for today, friends. And a wrap for the week, too! I hope you all have a great weekend, and I’ll see you back here on Monday for the latest Switch news, new releases, sales, and perhaps even a review or two. Whatever you’re playing this weekend, I hope you have fun with it, and as always, thanks for reading!